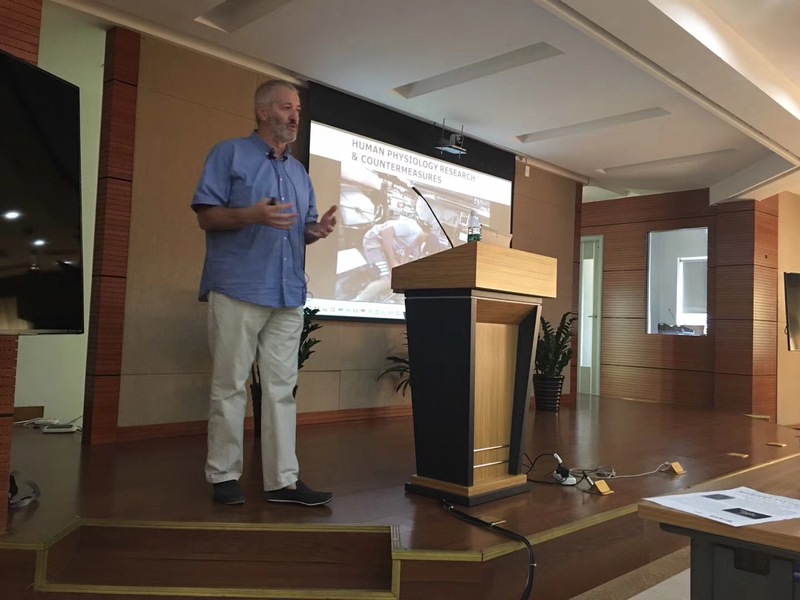 Following his visits to the International Space Science Institute - Beijing on June 29 and July 19, a seminar by Dr. Olivier Mister (ESA, currently detached at CSU) on “Science on Space Stations” was jointly organized by ISSI-BJ and NAOC/CAS on September 6, 2017. The European Space Agency runs a program on Science in the Space Environment (SciSpacE) on behalf of its member states. The program addresses a vast variety of topics in life sciences addressing the behavior of living organisms - from individual cells to astronauts - in the space environment. The program also includes physical sciences, covering solar physics, atmospheric physics, fundamental physics, fluid physics and materials sciences. Gravity has a pervasive effect on a variety of processes and experimenting under reduced gravity conditions enables scientists to do unique experimental research in situations not achievable on Earth. Dr. Olivier Minster joined the European Space Agency in 1988 to support the scientific coordination of the program of Research in Space. 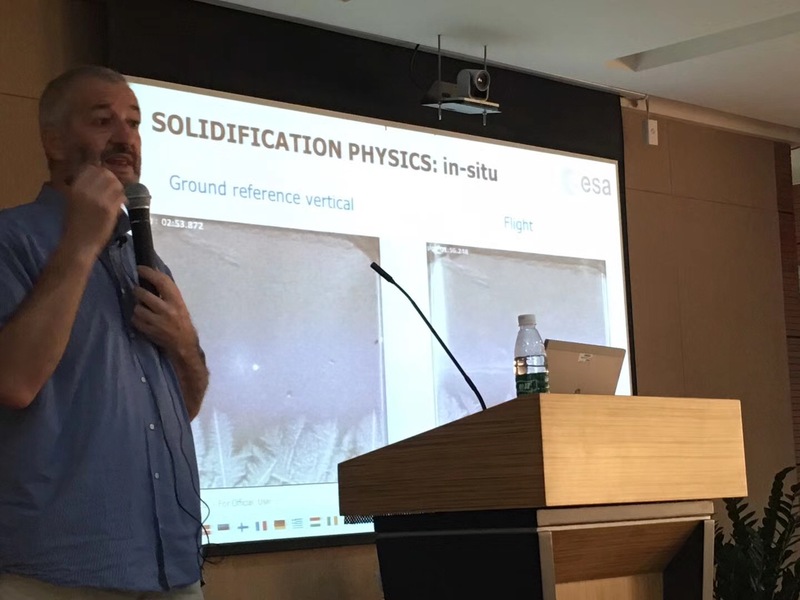 He is currently detached by ESA to the Center for Space Utilisation of the Chinese Academy of Sciences in Beijing to help develop scientific cooperation in the field. In his interesting talk, Dr. Olivier Minster offered a glimpse into the ISS program and delved into some examples of projects and results in physical sciences and future perspectives in basic and applied research utilising the International Space Station in particular.